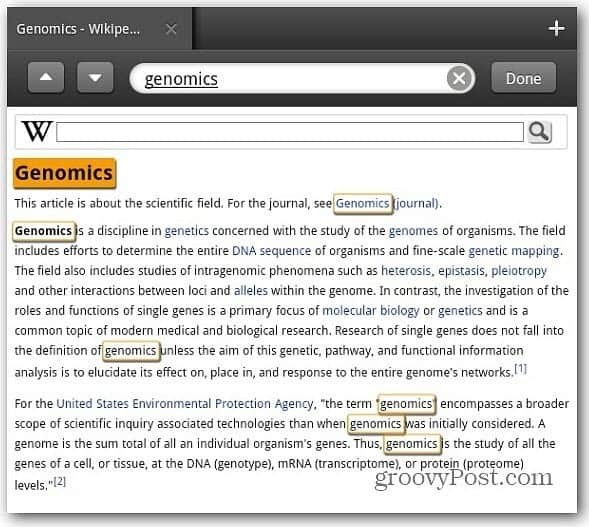 A cool feature of the Kindle Fire’s Silk browser is the ability to search for words or phrases on a webpage. You can do this in Safari on iDevices too. Here’s how to do it on your Kindle Fire. While on a webpage you want to search, click the menu icon at the bottom of the screen. Then tap Find on Page. 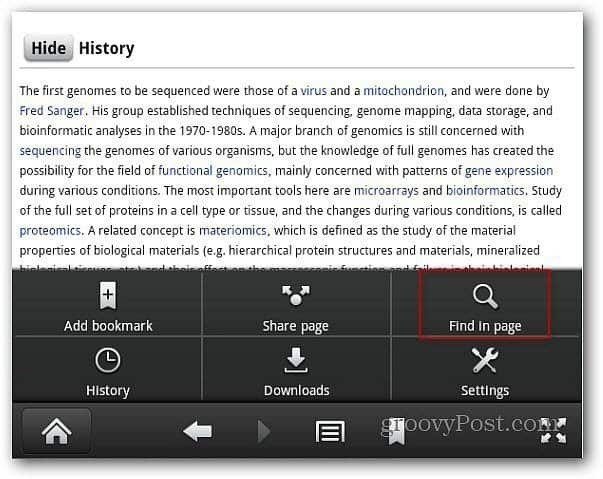 Then at the top of the page tap the search field to bring up the keyboard and type in your search term. As you type in the letters to your word or phrase, they start to be highlighted on the page. 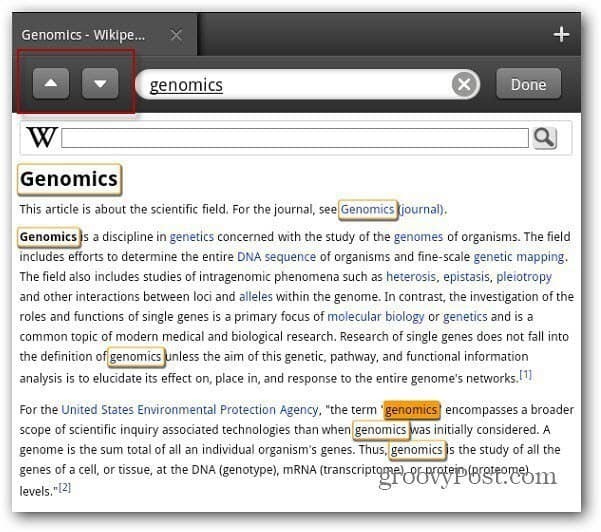 Then when you type in the entire word, you’ll see that term highlighted throughout the page. Then tap the up and down arrows to jump to the next matching word or phrase. When you’re finished tap Done. 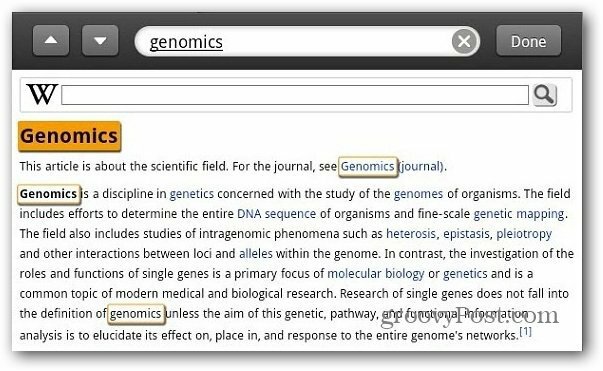 The Find on Page feature comes in handy when looking for specific words or phrases in long articles on sites like Wikipedia. Stay tuned as groovyPost continues to bring you more tips and tricks for Amazon’s Kindle Fire.